Everything changes. I take the hand of the one I love as we step together into the unknown. Of course I am scared, but I am also hopeful. At the start of the week, my husband's job ended. Now, he must start the process of looking for new work. I know I must also try to earn more than I currently do. We both realise it could be tough. But, change isn't always bad. Sometimes a new opportunity can present itself that offers a chance of things that are better than they were before. 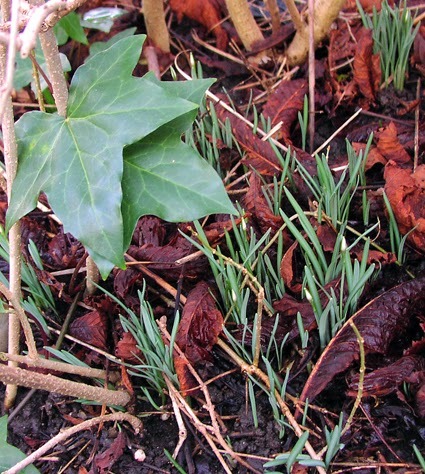 We are only a few days away from Imbolc, the festival of the first signs of spring, and already the snowdrops are starting to emerge in my garden. It is a good time for new beginnings. Regular reader, first-time commenter. Best wishes to both of you, and my your new beginnings be propitious. Swift golden luck to you both! Good luck to you both, and I hope your husband finds something better than before.